The Sarmatians (/sɑːrˈmeɪʃiənz/; Latin: Sarmatae, Sauromatae; Greek: Σαρμάται, Σαυρομάται) were a large Iranian confederation that existed in classical antiquity, flourishing from about the 5th century BC to the 4th century AD. Their territory, which was known as Sarmatia (/sɑːrˈmeɪʃiə/) to Greco-Roman ethnographers, corresponded to the western part of greater Scythia (it included today's Central Ukraine, South-Eastern Ukraine, Southern Russia, Russian Volga and South-Ural regions, also to a smaller extent north-eastern Balkans and around Moldova). In the 1st century AD, the Sarmatians began encroaching upon the Roman Empire in alliance with Germanic tribes. In the 3rd century AD, their dominance of the Pontic Steppe was broken by the Germanic Goths. 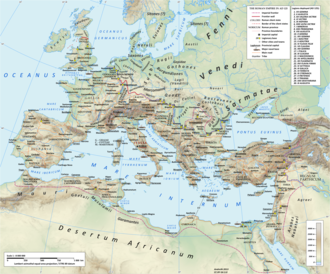 With the Hunnic invasions of the 4th century, many Sarmatians joined the Goths and other Germanic tribes (Vandals) in the settlement of the Western Roman Empire. Since large parts of today's Russia, specifically the land between the Ural Mountains and the Don River, were controlled in the 5th century BC by the Sarmatians, the Volga–Don and Ural steppes sometimes are also called "Sarmatian Motherland". English scholar Harold Walter Bailey (1899–1996) derived the base word from Avestan sar- (to move suddenly) from tsar- in Old Iranian (tsarati, tsaru-, hunter), which also gave its name to the western Avestan region of Sairima (*salm, – *Sairmi), and also connected it to the 10–11th century AD Persian epic Shahnameh's character "Salm". The Sarmatians were part of the Indo-Iranian steppe peoples, among whom were also Scythians and Saka. These are also grouped together as "East Iranians". Archaeology has established the connection 'between the Iranian-speaking Scythians, Sarmatians and Saka and the earlier Timber-grave and Andronovo cultures'. Based on building construction, these three peoples were the likely descendants of those earlier archaeological cultures. The Sarmatians and Saka used the same stone construction methods as the earlier Andronovo culture. The Timber-grave and Andronovo house building traditions were further developed by these three peoples. Andronovo pottery was continued by the Saka and Sarmatians. Archaeologists describe the Andronovo culture people as exhibiting pronounced Caucasoid features. The first Sarmatians are mostly identified with the Prokhorovka culture, which moved from the southern Urals to the Lower Volga and then northern Pontic steppe, in the 4th–3rd centuries BC. During the migration, the Sarmatians seem to have grown and divided themselves into several groups, such as the Alans, Aorsi, Roxolani and Iazyges. By 200 BC, the Sarmatians replaced the Scythians as the dominant people of the steppes. The Sarmatians and Scythians had fought on the Pontic steppe to the north of the Black Sea. The Sarmatians, described as a large confederation, were to dominate these territories over the next five centuries. According to Brzezinski and Mielczarek, the Sarmatians were formed between the Don River and the Ural Mountains. Pliny the Elder (23–79 AD) wrote that they ranged from the Vistula River (in present-day Poland) to the Danube. The Sarmatians differed from the Scythians in their veneration of the god of fire rather than god of nature, and women's prominent role in warfare, which possibly served as the inspiration for the Amazons. The Sarmatian culture was fully formed by the end of the fourth century BCE, based on the combination of local Sauromatian culture of Southern Ural and foreign elements brought by tribes advancing from the forest-steppe Zauralye (Itkul culture, Gorohovo culture), from Kazakhstan and possibly from the Aral Sea region. Sometime between the fourth and third century BC, a mass migration carried nomads of the Southern Ural to the west in the Lower Volga and a smaller migration to the north, south, and east. In the Lower Volga, Eastern nomads either partly assimilated local Sauromatian tribes, or pushed them into the Azov Sea and the Western Caucasus, where they subsequently formed a basis of nomadic association. A symbiosis of the Southern-Ural Prokhorovka culture with the Lower Volga of Sauromatian culture defines local differences between Prokhorovka monuments of Southern Ural and the Volga–Don region within a single culture. The Sarmatian culture in the Southern Ural evolved from the early Prokhorovka culture. The culture of the Lower Volga Sauromates developed separately at the same time as an independent community. While "Sarmatian" and "Sauromatian" are synonymous as ethnonyms, they are given different meanings purely by convention as archaeological technical terms. 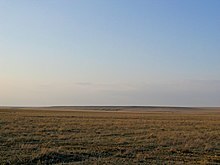 The term "Prokhorovka culture" derives from a complex of mounds in the Prokhorovski District, Orenburg region, excavated by S. I. Rudenko in 1916. In Hungary, a great Late Sarmatian pottery centre was reportedly unearthed between 2001 and 2006 near Budapest, in the Üllő5 archaeological site. Typical grey, granular Üllő5 ceramics form a distinct group of Sarmatian pottery found everywhere in the north-central part of the Great Hungarian Plain region, indicating a lively trading activity. 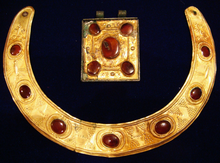 A 1998 paper on the study of glass beads found in Sarmatian graves suggests wide cultural and trade links. 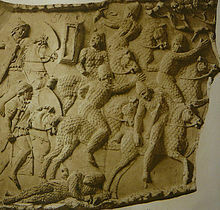 Archaeological evidence suggests that Scythian-Sarmatian cultures may have given rise to the Greek legends of Amazons. Graves of armed females have been found in southern Ukraine and Russia. David Anthony notes, "About 20% of Scythian-Sarmatian "warrior graves" on the lower Don and lower Volga contained females dressed for battle as if they were men, a phenomenon that probably inspired the Greek tales about the Amazons." The Sarmatians spoke an Iranian language, derived from 'Old Iranian', that was heterogenous. By the 1st century BC, the Iranian tribes in what is today South Russia spoke different languages or dialects, clearly distinguishable. According to a group of Iranologists writing in 1968, the numerous Iranian personal names in Greek inscriptions from the Black Sea coast indicated that the Sarmatians spoke a North-Eastern Iranian dialect ancestral to Alanian-Ossetian. However, Harmatta (1970) argued that "the language of the Sarmatians or that of the Alans as a whole cannot be simply regarded as being Old Ossetian". In the late 2nd or early 3rd century AD, the Greek physician Galen declared that Sarmatians, Scythians and other northern peoples had reddish hair. They are said to owe their name (Sarmatae) to it. Herodotus (4.110–117) recounts that the Sauromatians arose from marriages of a group of Amazons and young Scythian men. In the story, some Amazons were captured in battle by Greeks in Pontus (northern Turkey) near the river Thermodon, and the captives were loaded into three boats. They overcame their captors while at sea, but were not able sailors. Their ships were blown north to the Maeotian Lake (the Sea of Azov) onto the shore of Scythia near the cliff region (today's southeastern Crimea). 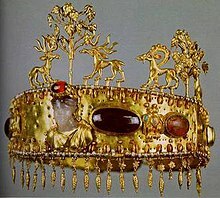 After encountering the Scythians and learning the Scythian language, they agreed to marry Scythian men, but only on the condition that they move away and not be required to follow the customs of Scythian women. According to Herodotus, the descendants of this band settled toward the northeast beyond the Tanais (Don) river and became the Sauromatians. Herodotus' account explains the origins of their language as an "impure" form of Scythian. He credits the unusual social freedoms of Sauromatae women, including participation in warfare, as an inheritance from their Amazon ancestors. Later writers refer to the "woman-ruled Sarmatae" (γυναικοκρατούμενοι). Herodotus (4.118–144) later relates how the Sauromatians answered the Scythian call for help against the Persian King Darius I, to repel his campaign in Scythia, along with the Gelonians and the Boudinians. The Persians invaded much of the Sauromatian territory, but were eventually forced to withdraw due the tribespeoples' tactics of delay and use of a scorched earth policy. Polybius (XXV, 1) mentions them for the first time as a force to be reckoned with in 179 B.C. Strabo portrays the peoples of the region as being nomadic, or Hamaksoikoi, "wagon-dwellers", and Galaktophagoi, "milk-eaters". This latter likely referred to the universal koumiss eaten in historical times. The wagons were used for transporting tents made of felt, a type of the yurts used universally by Asian nomads. Pausanias' description is well borne out in a relief from Tanais. These facts are not necessarily incompatible with Tacitus, as the western Sarmatians might have kept their iron to themselves, its having been a scarce commodity on the plains. In the late 4th century, Ammianus Marcellinus describes a severe defeat which Sarmatian raiders inflicted upon Roman forces in the province of Valeria in Pannonia in late AD 374. The Sarmatians almost destroyed two legions: one recruited from Moesia and one from Pannonia. The latter had been sent to intercept a party of Sarmatians which had been in pursuit of a senior Roman officer named Aequitius. The two legions failed to coordinate, allowing the Sarmatians to catch them unprepared. The Sarmatians remained dominant until the Gothic ascendancy in the Black Sea area, Oium. Goths attacked Sarmatian tribes on the north of the Danube in Dacia, in what is today Romania. Roman Emperor Constantine I called his son Constantine II up from Gallia to run a campaign north of the Danube. In very cold weather, the Romans were victorious, killing 100,000 Goths and capturing Ariaricus the son of the Goth king. In their efforts to halt the Gothic expansion and replace it with their own on the north of Lower Danube (present-day Romania), the Sarmatians armed their 'servants' Limigantes. After the Roman victory, however, the local population revolted against their Sarmatian masters, pushing them beyond the Roman border. Constantine, on whom the Sarmatians had called for help, defeated Limigantes, and moved the Sarmatian population back in. In the Roman provinces, Sarmatian combatants were enlisted in the Roman army, whilst the rest of the population was distributed throughout Thrace, Macedonia and Italy. The Origo Constantini mentions 300,000 refugees resulting from this conflict. The emperor Constantine was subsequently attributed the title of Sarmaticus Maximus. In the 4th and 5th centuries, the Huns expanded and conquered both the Sarmatians and the Germanic Tribes living between the Black Sea and the borders of the Roman Empire. From bases in modern-day Hungary, the Huns ruled the entire former Sarmatian territory. Their various constituents flourished under Hunnish rule, fought for the Huns against a combination of Roman and Germanic troops, and went their own ways after the Battle of Chalons, the death of Attila and the appearance of the Bulgar ruling elements west of the Volga- current Russian territory. The Sarmatians were eventually decisively assimilated (e.g. Slavicisation) and absorbed by the Proto-Slavic population of Eastern Europe around the Early Medieval Age. A related people to the Sarmatians known as the Alans survived in the North Caucasus into the Early Middle Ages, ultimately giving rise to the modern Ossetic ethnic group. Maciej Miechowita (1457–1523) used "Sarmatia" for the Black Sea region and further divided it into Sarmatia Europea, which included East Central Europe, and Sarmatia Asiatica. Following him, cartographers created several maps of these regions. In the 19th century several authors tried to locate their extent. Sarmatism (or Sarmatianism) is an ethno-cultural concept with a shade of politics designating the formation of an idea of Poland's origin from Sarmatians within the Polish-Lithuanian Commonwealth. The dominant Baroque culture and ideology of the nobility (szlachta) that existed in times of the Renaissance to the 18th centuries. Together with another concept of "Golden Liberty", it formed a central aspect of the Commonwealth's culture and society. At its core was the unifying belief that the people of the Polish Commonwealth descended from the ancient Iranic Sarmatians, the legendary invaders of Slavic lands in antiquity. ^ Kozlovskaya, Valeriya (2017). The Northern Black Sea in antiquity : networks, connectivity, and cultural interactions. Kozlovskaya, Valeriya, 1972-. Cambridge, United Kingdom. ISBN 9781108517614. OCLC 1000597862. ^ Brzezinski & Mielczarek 2002, p. 6. ^ Bailey, Harold Walter (1985). Khotanese Text. Cambridge University Press. p. 65. ISBN 9780521257794. ^ Kuzmina 2007, p. 220. ^ Kuzmina 2007, p. 445. ^ Kuzmina 2007, p. xiv. ^ Kuzmina 2007, p. 50. ^ Kuzmina 2007, p. 51. ^ Kuzmina 2007, p. 64. ^ Kuzmina 2007, p. 78. ^ Keyser, Christine; Bouakaze, Caroline; Crubézy, Eric; Nikolaev, Valery G.; Montagnon, Daniel; Reis, Tatiana; Ludes, Bertrand (May 16, 2009). "Ancient DNA provides new insights into the history of south Siberian Kurgan people". Human Genetics. 126 (3): 395–410. doi:10.1007/s00439-009-0683-0. PMID 19449030. ^ Barry W. Cunliffe (2001). The Oxford Illustrated History of Prehistoric Europe. Oxford University Press. pp. 402–. ISBN 978-0-19-285441-4. ^ a b Grousset, Rene (1970). The Empire of the Steppes. Rutgers University Press. p. 15. ISBN 978-0-8135-1304-1. ^ a b Sinor 1990, p. 113. ^ a b c Brzezinski & Mielczarek 2002. ^ Уральская историческая энциклопедия. — УрО РАН, Институт истории и археологии. Екатеринбург: Академкнига. Гл. ред. В. В. Алексеев. 2000. ^ Genito, Bruno (1 November 2002). The Elusive Frontiers of the Eurasian Steppes. All’Insegna del Giglio. pp. 57–. ISBN 978-88-7814-283-1. ^ Yablonskii, Leonid; Balakhvantsev, Archil (1 January 2009). "A Silver Bowl from the New Excavations of the Early Sarmatian Burial-Ground Near the Village of Prokhorovka". Ancient Civilizations from Scythia to Siberia. 15 (1–2): 167–169. doi:10.1163/092907709X12474657004809. ^ "Chemical Analyses of Sarmatian Glass Beads from Pokrovka, Russia" Archived 2005-04-15 at the Library of Congress Web Archives, by Mark E. Hall and Leonid Yablonsky. ^ Anthony, David W. (2007). The Horse, the Wheel, and Language: How Bronze-Age Riders from the Eurasian Steppes Shaped the Modern World. Princeton University Press. ISBN 978-0-691-05887-0. ^ a b Harmatta 1970, 3.4. ^ Handbuch der Orientalistik, Iranistik. By I. Gershevitch, O. Hansen, B. Spuler, M.J. Dresden, Prof M Boyce, M. Boyce Summary. E.J. Brill. 1968. ^ Day 2001, pp. 55–57. ^ Baumgarten, Siegmund Jakob; Beer, Ferdinand Wilhelm; Semler, Johann Salomo (1760). A Supplement to the English Universal History: Lately Published in London: Containing ... Remarks and Annotations on the Universal History, Designed as an Improvement and Illustration of that Work ... E. Dilly. p. 30. ^ Germania omnis a Gallis Raetisque et Pannoniis Rheno et Danuvio fluminibus, a Sarmatis Dacisque mutuo metu aut montibus separatur: cetera Oceanus ambit, latos sinus et insularum inmensa spatia complectens, nuper cognitis quibusdam gentibus ac regibus, quos bellum aperuit. ^ Eusebius. "IV.6". Life of Constantine. ; * Valois, Henri, ed. (1636) [ca. 390]. "6.32". Anonymus Valesianus I/Origo Constantini Imperatoris. ^ Brzezinski & Mielczarek 2002, p. 39. ^ Howell A. Lloyd; Glenn Burgess; Simon Hodson (2007). European Political Thought 1450–1700: Religion, Law and Philosophy. Yale University Press. p. 209. ISBN 978-0-300-11266-5. ^ "Funeral Oration for the Burial of Charles XI. 1697: first-hand copied at National Library of Sweden by MaxWolf". LiveJournal. ^ Tadeusz Sulimirski, The Sarmatians (New York: Praeger Publishers 1970) at 167. ^ P. M. Barford, The Early Slavs (Ithaca: Cornell University 2001) at 28. Brzezinski, Richard; Mielczarek, Mariusz (2002). The Sarmatians 600 BC–AD 450. Men-At-Arms (373). Bloomsbury USA; Osprey Publishing. ISBN 978-1-84176-485-6. Davis-Kimball, Jeannine; Bashilov, Vladimir A.; Yablonsky, Leonid T. (1995). Nomads of the Eurasian Steppes in the Early Iron Age. Berkeley: Zinat Press. ISBN 978-1-885979-00-1. Day, John V. (2001). Indo-European origins: the anthropological evidence. Institute for the Study of Man. ISBN 978-0941694759. Hinds, Kathryn (2009). Scythians and Sarmatians. Marshall Cavendish. ISBN 978-0-7614-4519-7. Istvánovits, Eszter; Kulcsár, Valéria (2017). Sarmatians: History and Archaeology of a Forgotten People. Schnell & Steiner. ISBN 978-3-7954-3234-8. Kozlovskaya, Valeriya (2017). The Northern Black Sea in Antiquity. Cambridge University Press. ISBN 978-1-107-01951-5. Kuzmina, Elena Efimovna (2007). The Origin of the Indo-Iranians. BRILL. pp. 50, 51, 56, 64, 78, 83, 220, 410. ISBN 978-90-04-16054-5. Sinor, Denis, ed. (1990). The Cambridge History of Early Inner Asia. Cambridge University Press. ISBN 978-0-521-24304-9. К.Ф. Смирнов. Сарматы и утверждение их политического господства в Скифии. Рипол Классик. ISBN 978-5-458-40072-5. Sulimirski, Tadeusz (1970). The Sarmatians. Ancient People and Places, vol. 73. Praeger. Абрамова, М. П. (1988). "Сарматы и Северный Кавказ". Проблемы сарматской археологии и истории: 4–18. Genito, Bruno (1988). "The Archaeological Cultures of the Sarmatians with a Preliminary Note on the Trial-Trenches at Gyoma 133: a Sarmatian Settlement in South-Eastern Hungary (Campaign 1985)" (PDF). Annali Dell'Istituto Universitario Orientale di Napoli. 42: 81–126. Harmatta, J. (1970). "Studies in the History and Language of the Sarmatians". Acta Antique et Archaeologica. XIII. Клепиков, В. М.; Скрипкин, А. С. (1997). "Ранние сарматы в контексте исторических событий Восточной Европы". Донские древности. 5: 28–40. Lebedynsky, Iaroslav (2002). Les Sarmates: amazones et lanciers cuirassés entre Oural et Danube, VIIe siècle av. J.-C.-VIe siècle apr. J.-C. Errance. ISBN 978-2-87772-235-3. Mordvintseva, Valentina I. (2015). "Сарматы, Сарматия и Северное Причерноморье" [Sarmatia, the Sarmatians and the North Pontic Area] (PDF). Вестник древней истории [Journal of Ancient History]. 1 (292): 109–135. Mordvintseva, Valentina I. (2013). "The Sarmatians: The Creation of Archaeological Evidence". Oxford Journal of Archaeology. 32 (2): 203–219. doi:10.1111/ojoa.12010. Moshkova, M. G. (1995). "A brief review of the history of the Sauromatian and Sarmatian tribes". Nomads of the Eurasian Steppes in the Early Iron Age: 85–89. Perevalov, S. M. (2002). "The Sarmatian Lance and the Sarmatian Horse-Riding Posture". Anthropology & Archeology of Eurasia. 40 (4): 7–21. doi:10.2753/aae1061-195940047. Rjabchikov, Sergei V. (2004). "Remarks on the Scythian, Sarmatian and Meotian Beliefs". AnthroGlobe Journal. Yatsenko, S. A. (1992). "CLOTHING vii. Of the Iranian Tribes on the Pontic Steppes and in the Caucaus". CLOTHING vii. Of the Iranian Tribes – Encyclopaedia Iranica. Encyclopaedia Iranica, Vol. V, Fasc. 7. pp. 758–760.